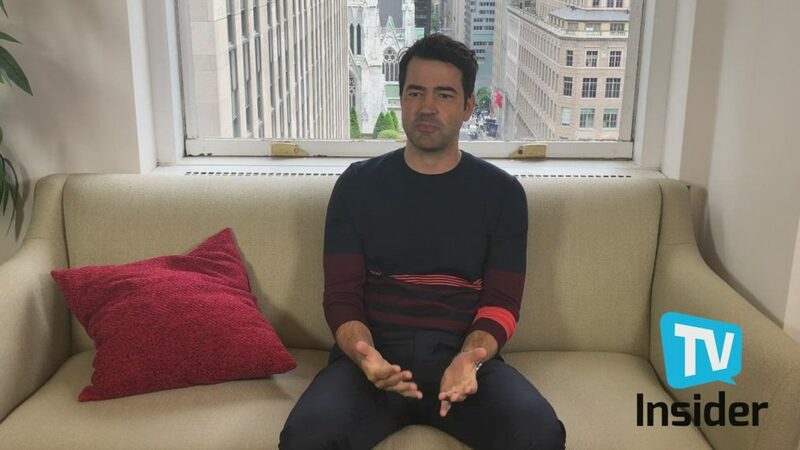 Ron Livingston is about to take over your TV. The actor has three projects right now, all about to premiere — A Million Little Things on ABC, Season 2 of Loudermilk on AT&T Audience Network, and The Romanoffs, which drops on Amazon in October — and he's more excited than ever for fans to watch. Brisk plotting and top-notch casting elevate this male tear-jerker about a group of friends rocked by their leader's suicide. The actor tells TV Insider that the three biggest questions he asks himself before playing a new character is: "Is the show good?," "Is it something that I would want to watch?," and "Will I have something to do?" One character that sparked his interest was Jonathan "Jon" Dixon in ABC's new grab-your-tissue-box drama, A Million Little Things. The character commits suicide in the pilot, leaving his family and friends in total shock and seeking answers. David Giuntoli as Eddie, Ron Livingston as Jon, James Roday as Gary, and Romany Malco as Rome. "It's a little gem," he said of the project. "It's got the bones of a very grown-up relationship drama with some mystery elements because all these secrets start coming out from people in the group." Livingston credits the show's uniqueness to the creator's, D.J. Nash, comedy background. "There's a real crispness to the dialogue," he said.